It was such a beautiful day today at the Oakland Jazz Festival, only to come home and hear the bad news that soul, jazz singer, Amy Winehouse, has died. Her untimely death is being classified, at this time, as “unexplained.”. She was only 27. 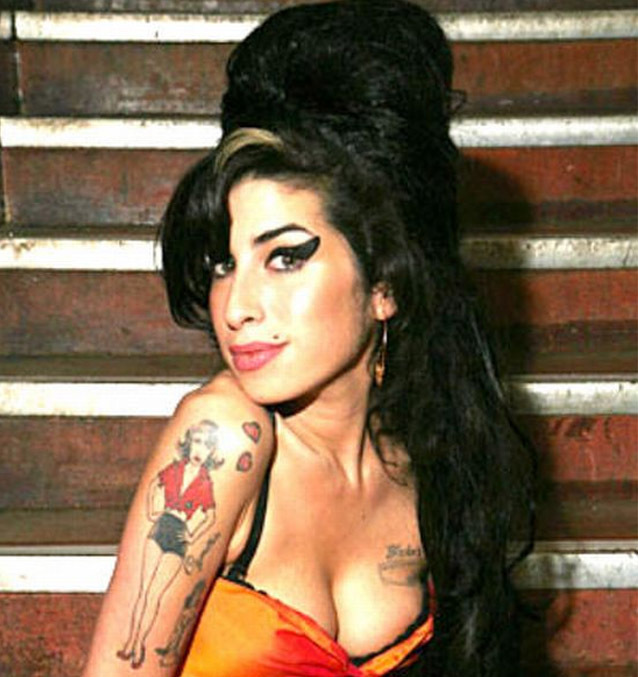 Winehouse, known for her smoky, jazz-singer vocals, and her distinctive sense of style will be missed. With her towering beehive, liquid eyeliner and distinctive fifties-style wardrobe, Winehouse indeed brought retro-dressing to the mainstream, and spawned a host of young imitators. She quickly became the darling of the fashion industry. Karl Lagerfeld called her his muse – sending Chanel models down the catwalk with Amy Winehouse-style beehives. Jonathan Kelsey designed the ‘Amy' shoe in her honour. She sung for the fashion crowd at a Fendi party at Paris Fashion Week, and practically made the Preen Power dress famous when she rocked it on the red carpet at the Brits. In October last year the singer also collaborated with legendary sportswear brand Fred Perry on a range of Fifties-style pieces, from argyle twinsets to classic trenchcoats, and even modelled in the ad campaign for the collection. Winehouse shot to fame in 2003, with her debut album Frank, which made the singer a Mercury music prize nominee at the age of 20. Three years later, a follow-up album, Back to Black, won five Grammy awards and brought her global stardom.